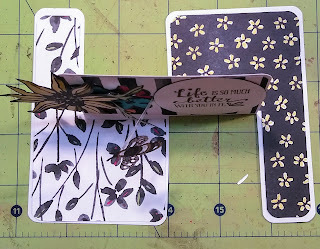 I like to look at card making techniques while I am doing other things around the house. 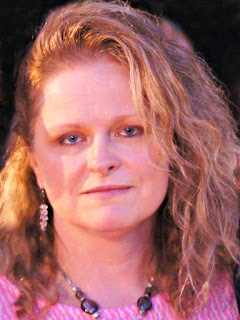 Creativity streams in as background noise and I stop when something strikes my interest. Well, yesterday my interest was piqued by motion cards (which this is not) and while I was watching a video on how to make your own motion card I noticed a link for something called The Impossible Card. 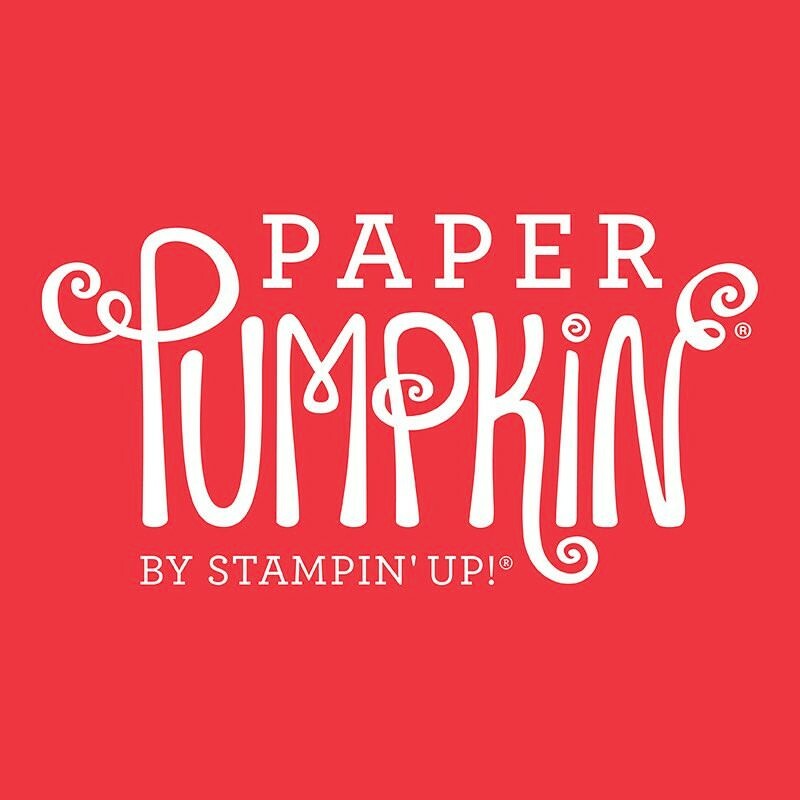 That link was from Mixed Up Crafts. I then watched Maymay Made it for her take on the card and I looked at Making the Hyper Card. This card base design is based off of a card trick called the Hyper Card. 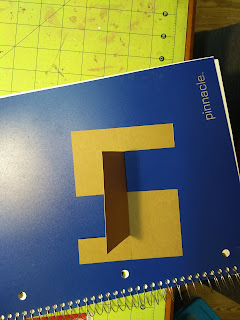 Anyway, once you understand the measurements the card base is quick and easy to make. 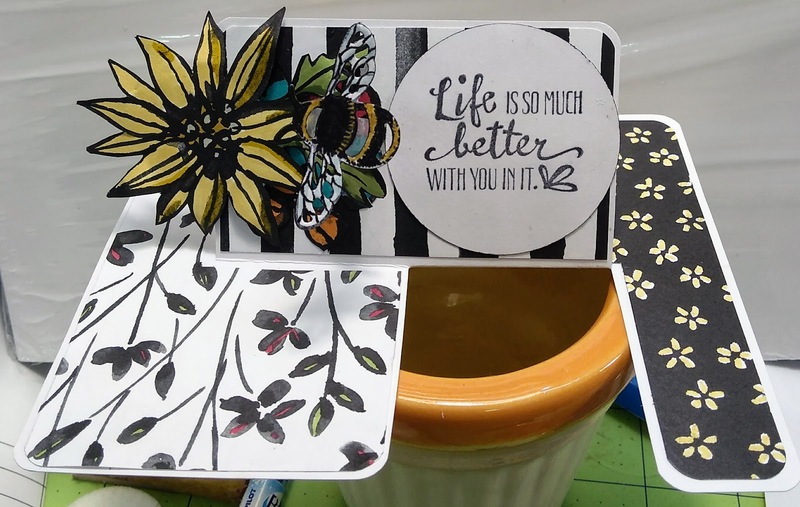 The Petal Passion card is A4 in size but you can make the card any size you wish by following three simple steps. 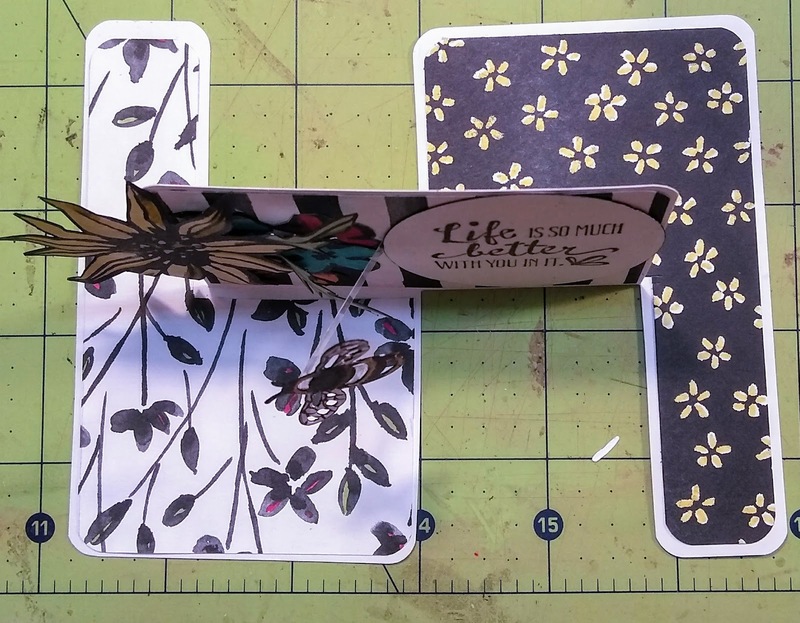 Here is how the card base looks once the three cuts are made but before it is folded into shape. Here are the steps to making this sized card. Use these steps to make this card any size. 1. 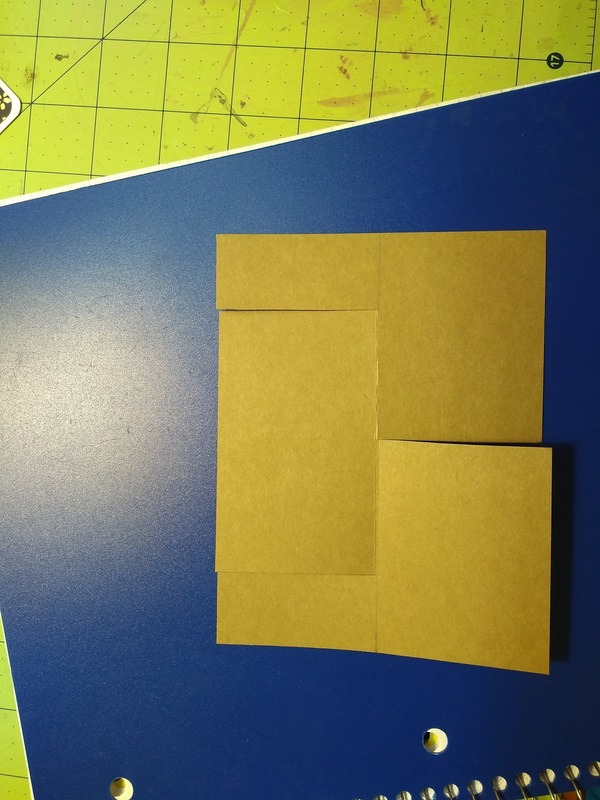 Establish a center line on the long side (5 1/2") of the card 2 3/4" and mark. 2. Establish a center line on the short side (4 1/4') of the card 2 1/8" and mark. You can either use a T-ruler and draw a line across the card or you can just rotate to the other short side repeat the mark and then connect the two marks. 3. On the second long side of the card measure in 1' from each edge and mark. With other sized cards you can eyeball these two marks, just make them look proportional. 4. With your ruler, connect the marks that were made on the long sides of the card with the line drawn down the middle of the card. These three lines will be your cut lines. With your scissors cut in from each mark stopping at the center line. 5. The last thing to do is to fold one of the two sides under. I folded the right side under making sure that piece I fold under lines up with the rectangle in the middle. Meaning before you fold you should have what looks like mirror image shapes with a rectangle in the middle. You will need to fold one of the images to the back and the other to the front and this should force the rectangle in the middle to stand up. Colors of your choosing to color the flowers. 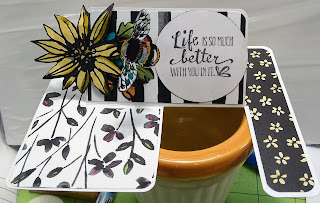 When you add designer paper to the feet of the card you can either use two large pieces or four smaller pieces. On this card I chose to measure out two large pieces and trim out the open space. The two pieces measure 4 1/4 x 2 3/4. I also chose to leave an 1/8" border around the edges so I actually cut at 4 1/8 x 2 5/8" and I eyeballed the cut on the skinny side. The measurements of the stand up rectangle are 2 1/8 x 3 1/2. I cut my designer paper at 2 x 3 3/8. 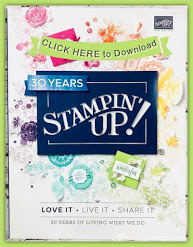 The flowers that were used were cut from the Petal Passion designer paper and colored with an assortment of Stampin Up! inks. The bumble bee was stamped, cut out and attached to a piece of scrap plastic packaging. 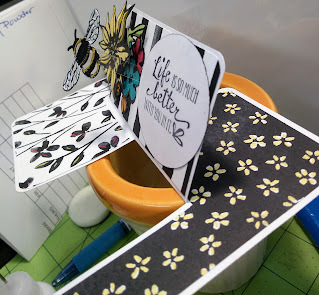 One end of the scrap packaging is glued to the underside of the sentiment so that the bee appears to float in front of the card. If you have any questions about the card message me and I will be happy to respond. I love the creativiness of this card. Your work is beautiful.